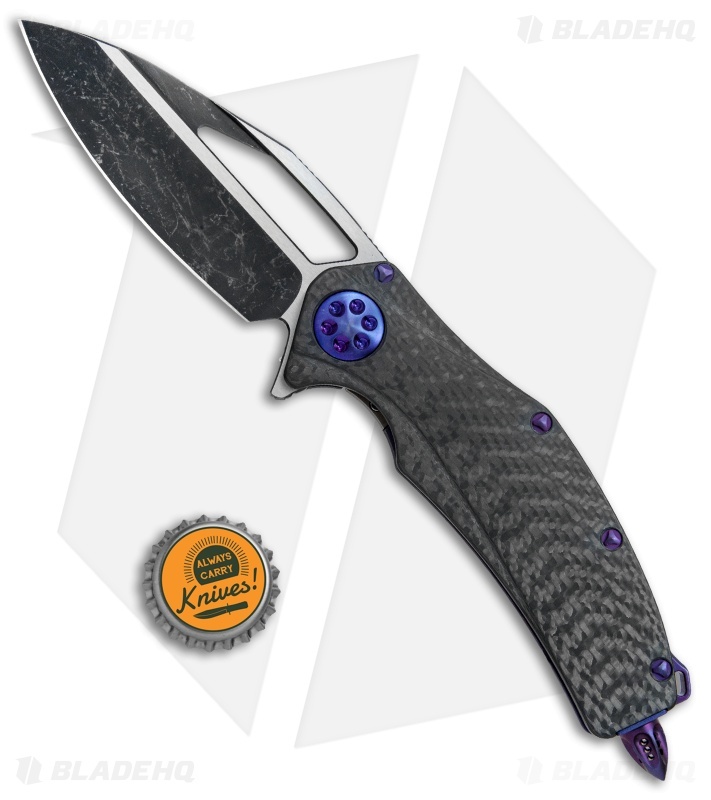 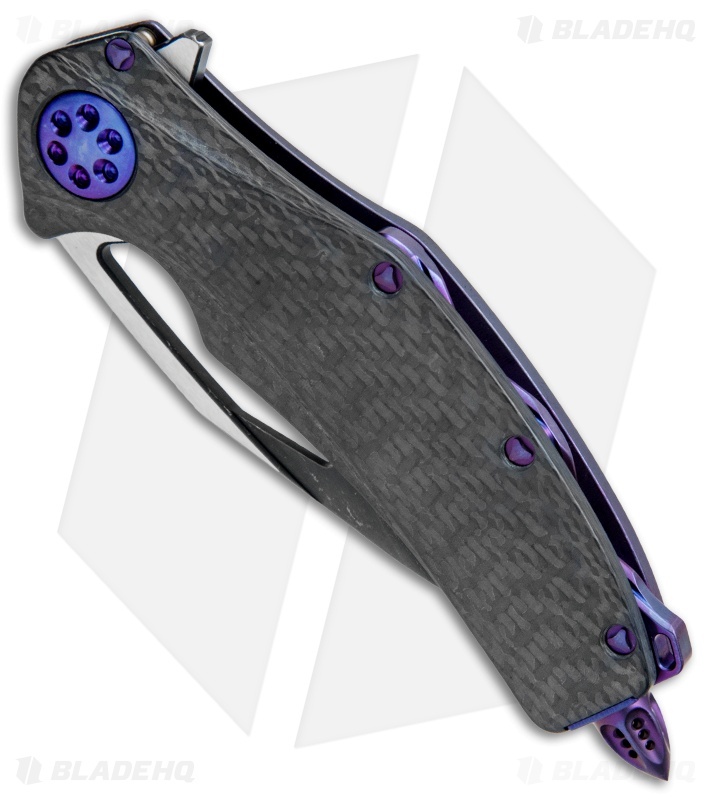 Marfione Custom Knives presents this exquisite Matrix flipper with a hand ground, M390 steel blade sporting a two-tone Dark Matter finish and a carbon fiber handle. 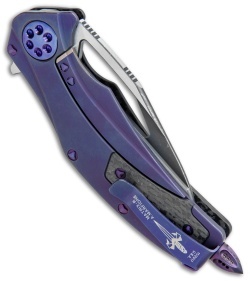 The titanium frame lock handle is Purple Haze anodized comes outfitted with matching Purple Haze hardware. The Marfione Dagger, name, and manufacture date are marked on the pocket clip.